Today in this post i will share 10+ Best Magazine Blogger templates on Themeforest. Blogspot is a most popular blogging platform nowadays. Day by days increasing its popularity. 10+ Best Magazine Blogger Templates on Themeforest. Main reason of this its customization. Everyone can easily customize their blog using blogger templates. Huge number of blogger templates are available on internet both paid and free. If you're looking for a Newspaper of Magazine template for your blog, then you should try these premium templates for your blog. Any kind of Newspaper blog, Magazine website, commercial website and personal website, These templates are perfect for these website. Blogger Templates make an user easy to customize their blog. Quality blogger themes are essential for every blog. Mobile friendly and Search Engine friendly templates are also important for every blog. We knew that, Themeforest is number 1 maket for quality and premium templates. Today i am shared 10 best Magazine blogger templates from themforest. So now lets start to find out some fresh newspaper and Magazine blogger themes for your blog with best features that make your blog more perfect and more user friendly. 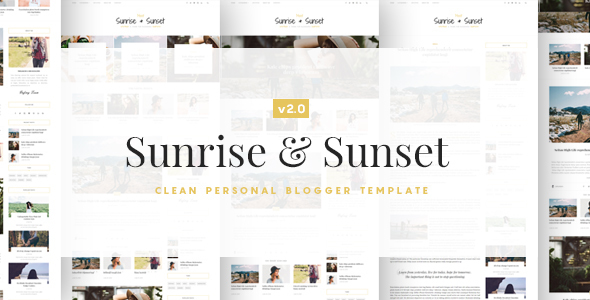 Sunrise & Sunset is an Elegant Personal Blogging Blogger Template for Bloggers, Clean, Pure and Fashion design to start your personal or magazine blog, it comes with many New Features, Easy to Customize, Custom Theme Options, Fully Customizable, Fast Loading 85/100 grad and Great Support. You should must choice best magazine blogger templates for your blog or business. 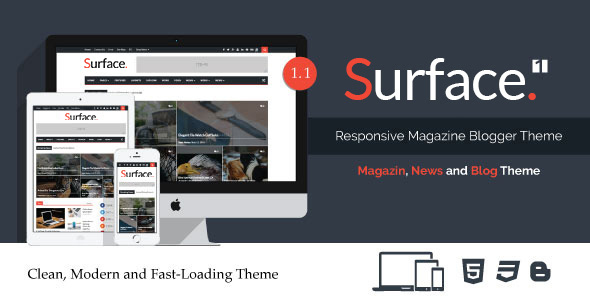 Surface Magazine Theme is a fully responsive, clean, modern, flexible, fast-loading and user friendly Blogger Newspaper and Blog Theme. Surface is also another best Magazine or Newspaper template for blogger. It is another smart and modern template for blogspot platform. It have some awesome demo and beautiful layouts. That you must like. 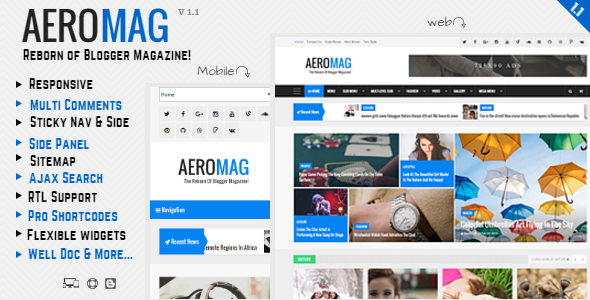 Aeromag is responsive magazine blogger templates which is coded under best practices to make sure optimum performance. Not only in Desktop but on mobile too. We’ve focused on some core concepts of SEO and native coding practices of Blogger. Therefore we get a theme with high speed, lesser response time and yet a good looking flat design theme. If you're looking for a professional and high quality newspaper blogger templates, then you should must try this awesome template for your magazine blog. 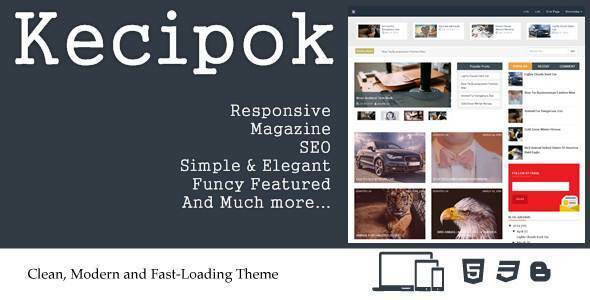 Kecipok Magz is a Responsive Magazine Blog, designed perfectly for SEO with custom All In One SEO packed, Kecipok Magz is stylized into theme for magazine blog or anything else. 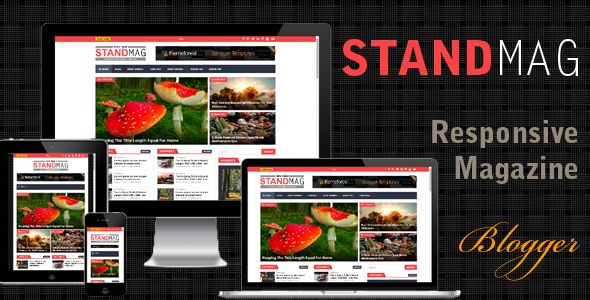 This is another good, responsive and Bootstrap-3 supported magazine blogger templates. Simple design and perfect for any normal magazine or newspaper blog. 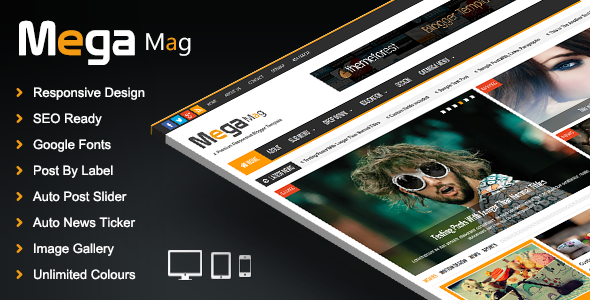 OmegaMag is newly published on Themeforest. I think it will be most popular within some days. Because its features are awesome. 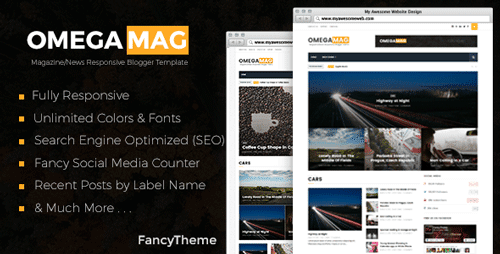 OmegaMag blogger template is another great work by FancyTheme. OmegaMag is a Responsive Magazine Blogger Templates on themeforest Built for creative Bloggers, with a new and exclusive features, so it’s compatible with all browsers, and very simple to use you can just Drag and drop to build a magazine website in minute. Do awesome content and will do the rest. With OmegaMag you don't have to worry about SEO. Because it is fully SEO Optimized blogger template. It give you unlimited colors and fonts, so you can change everything in this blogger template as you like. Most sold blogger template on themesfores. Tiennguyenvan done a great work. Magone newspaper blogger template is most popular blogger template. It has some awesome features. That's why it become most popular magazine blogger template. Previous some days its new version 4.0 golden version has been published. 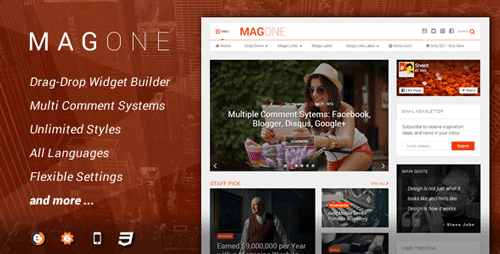 MagOne template is flexible and responsive magazine template for Blogger / Blogspot websites. Drag and drop to build a magazine website in minute. It will be number one template from this magazine blogger templates collections. Running a newspaper or Magazine website with blogspot and looking for a best newspaper blogger theme? Hope guys Axact magazine template for blogger will help you. 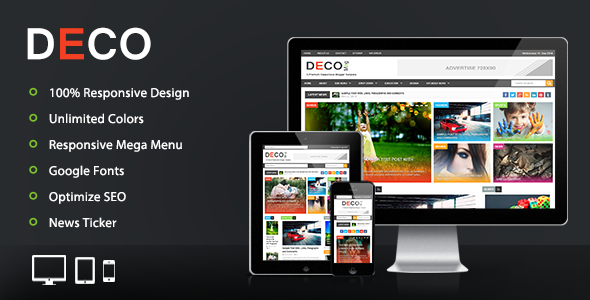 Responsive and user friendly design. Magazine layout are awesome. 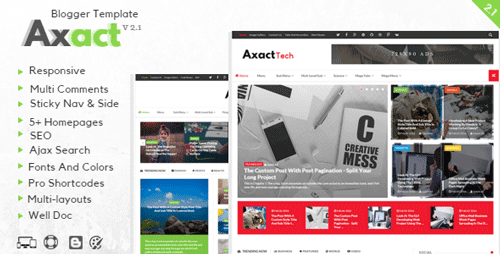 Axact is a modern, clean, responsive and flat Blogger template suitable for magazine, news, sports, tech, games and multipurpose blog. Axact is designed with flexible approach lets you to easily change the color, font size and other customization that you can made through blogger template designer. This template is done by themelet. 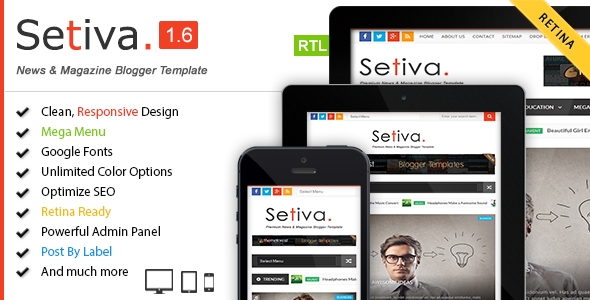 This template has 5+ type of homepage layout like, Blog, Tech, Sports, Games and more. Drop Down menu and mega menu are also done great. Hope guys, you'll like this template for your blog. 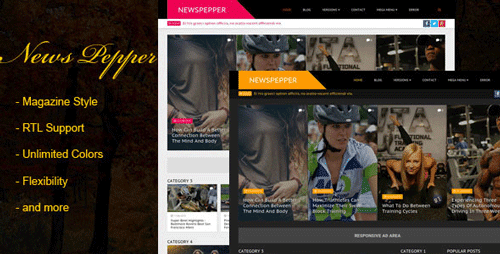 NewsPepper Blogger Template is a professional Blogger template, crafted for news, portal and magazine websites. You can customize this from Blogger Template Designer with more than 100 variations colors, as well as many options to suit your needs with no coding knowledge required. Equipped with automatic switching to RTL language. Mobile version of this template is also fine. Newspaper layout are also good. NewsPepper blogger template is perfect for every newspaper blog. 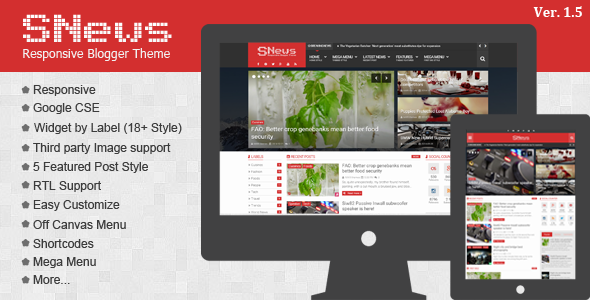 News Mag Magazine style blogger template done by PBThemez with lots of features. 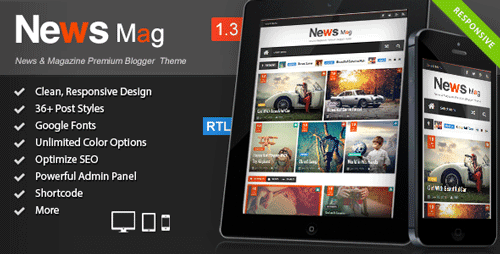 News Mag template is compatible with all type of device. Fresh, unique and minimalist designed blogger template. News Mag blogger template is a another clean and beautiful blogger template. its responsive blogger design and high user friendly blogger template and seo ready theme.this theme perfect for news,magazine and personal websites. 3+ Style Threaded Comments System Disqus Blogger Facebook. That make an user easy to explain their opinion about your blog. Ovation Newspaper blogger template is another best output of MARIthemes. 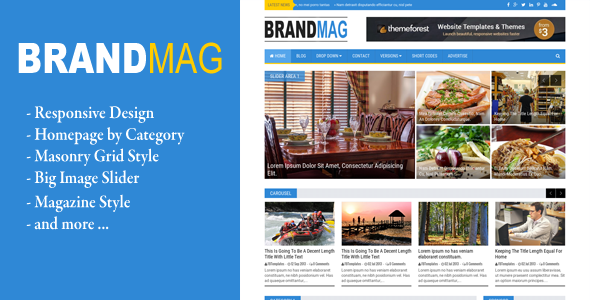 They also published another magazine template on themeforest. But Ovation is the best publish of them. Colorful and beautiful layout of this templates are great. 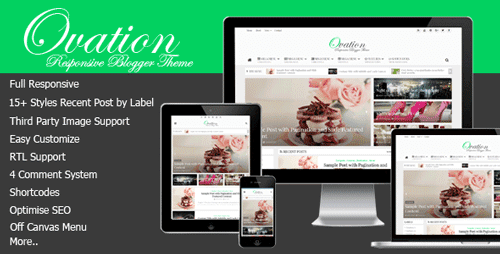 Ovation blogger template has 3 columns layout. Ovation is the most efficient blogger theme for your magazine , news editorial, newspaper website. It has a lot of option that magazine website need. For example ability to change layout for each categories, breadcrumbs for post and category, social widget, post widget that has many options to sort and much more. 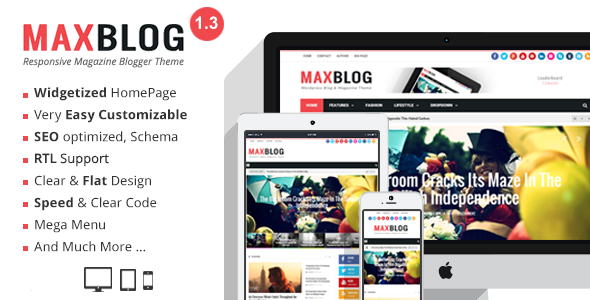 This theme shows you how cool and flexible blogspot magazine theme can be. You can turn your magazine website into any possibilities you can think of. 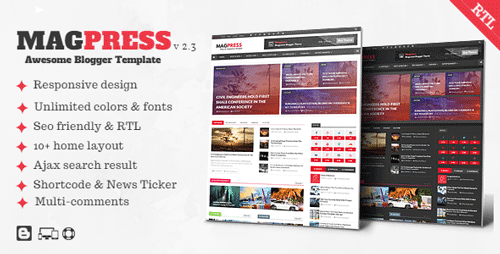 Magpress is a modern, clean, responsive, seo optimized and flat blogger magazine template. Magpress is best suitable for magazine, news, blog and multipurpose blog and website. The template is designed with flexible approach lets you to easily change the color skin, font size and other customization options easily from the official blogger template designer. Magpress not only exels at front-end usability and user experience, but the admin back-end is very easy to use. Now lets start know more about Magpress newspaper blogger themes.